Visiting a new website is like going on a date. Think about meeting someone new for the first time that you are considering any type of relationship with (sounds ridiculous, but think about vetting an unknown online store that you are considering buying from – you want to evaluate legitimacy and establish trust). Do you want to be with safe and approachable, or are you attracted to strong and charismatic? I prefer a strong personality, but that is down to my personality type. Some may prefer safe over fun. This is all down to Experience Design (XD) as it relates to visuals, tone of voice and a bit of gamification. Graphics should match your message, fonts should fit in with your message and your graphics and text should all be in a consistent voice, whatever that may be. Saying one thing (in text) and showing another (with visuals) can make the user subconsciously feel uneasy. Consistency builds trust, and trust is key. Your company’s brand guide should tell you in detail what that is (fonts, imagery, etc.). If you have these guidelines, stick to them as they are there for a reason. If you don’t have a brand guide (perhaps you’re working with a new company, incompletely or lacking brand guide, or want to try something different), you can have a bit of fun! Most content on the web is very visually-driven, so text-only is not the way to go. When evaluating images don’t use the ones that will make people roll their eyes because they’re cliche or boring. Use relevant images to what your content is about and be clever – people love connecting dots, so choose something that will make them go “ooooh!” Be bold! Consider image treatment (overexposed, washed out, illustration vs. photo-realism, etc). User engagement is super important – get users engaged, and they will remember you. You don’t have to write a game for them, it can be a simple pacifier or anything that makes the site interactive (a square image that animates to rounded corners when you hover, or an animations locked to mouse/finger position). In addition to the brand guide, your company may also already have a written style guide. If you do, follow this closely. It will explain word choices, statements, grammar, tense, etc. If you don’t have one on of these, let’s have some fun! Simply put, tone IS the voice of the company. It’s how you say what you want to say, so be decisive, encouraging and reinforce your imagery to create that consistent and cohesive experience. This is covered in more detail in another post, however it’s worth mentioning here. 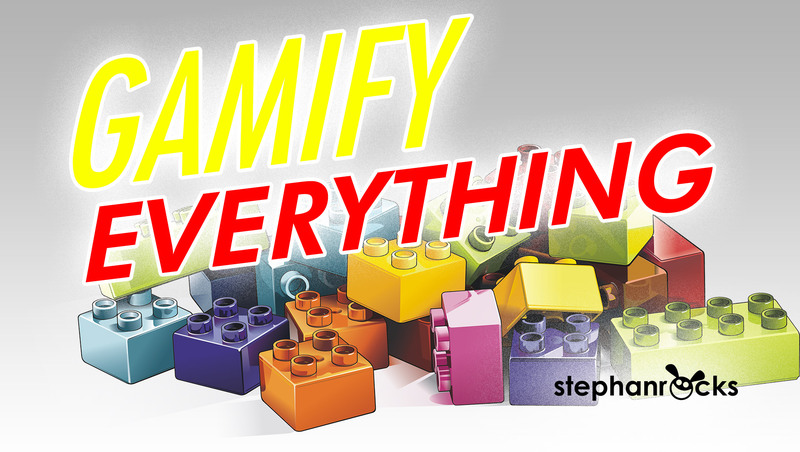 Gamification is all about getting users engaged. Whether it’s badges in a community-driven site, simple messages of encouragement through long forms, celebrations when users get to certain points, or even actual games they can play, gamification pushes user experience through the roof. Consider this strongly and ensure this is finely integrated into your brand voice and the statements you (e.g. : “almost there!” and “hurray! you’ve done it!“). Remember that you’re basically dealing with marketing content and communications, regardless of whether it’s a website, app or intranet. Marketing concepts rely on fulfilling a need (whether it’s a fabricated need or a real one), and your content should too – always ask “what’s the point” of your content. I always ask: “what can I get away with” (within the guidelines of the brief) rather than caring too much about following the rules to a tee or working overly hard on pleasing a difficult client. Pleasing stakeholders by following a brief is less important than giving them a bombshell option that you believe in. Remember that YOU’RE the designer, and you’re hired for a reason. 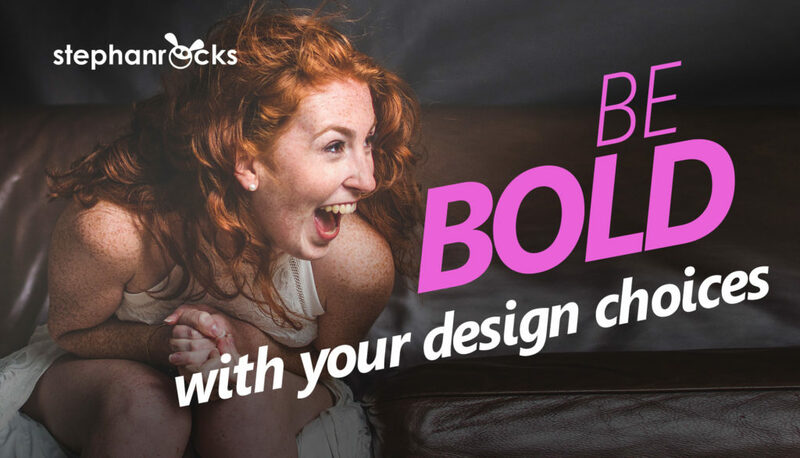 Below are 3 examples of sites that have a bold and consistent brand voice. 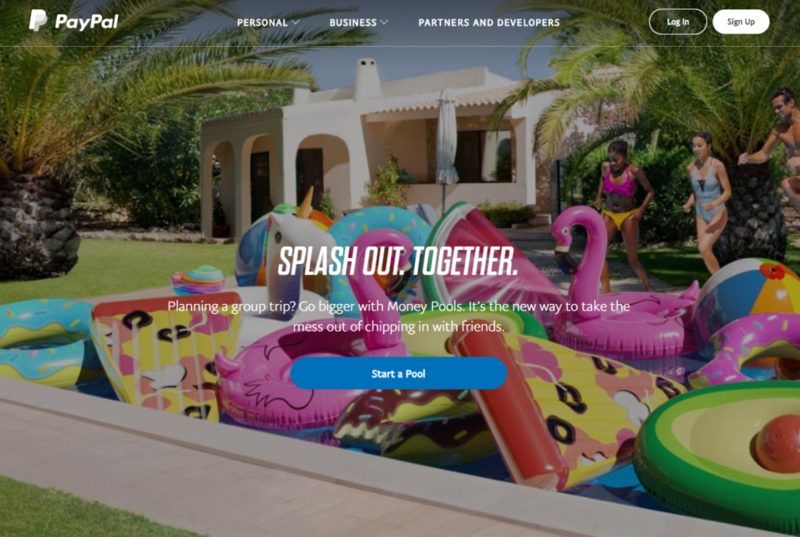 PayPal recently released Money Pool, where multiple users can chip in towards a unified goal, like throwing a friend a party. Their video shows a guy blowing up a bouncy castle in a unicorn onesie. At the start, you’re wondering “whyyyyyyy?! ?” but shortly after, it makes complete sense. The ridiculousness of the scene forces the curious you to start watching it, and your intellectual you enjoys when all the dots are connected. 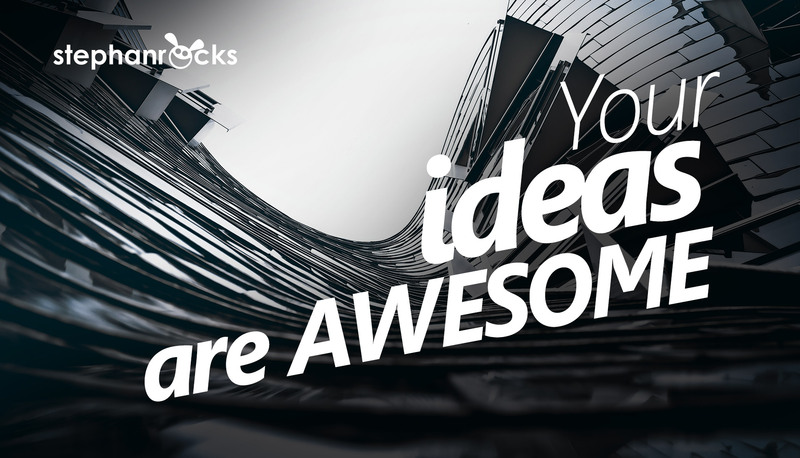 Their website is equally ridiculous, but you’ll feel a strong cohesive message with the font, imagery and text. These guys have been around for a long time and have a very large following. They sell new products each day that are usually only available on that day, and then rarely (if ever) again. They also have a limited quantity, and once it’s gone, it’s gone. 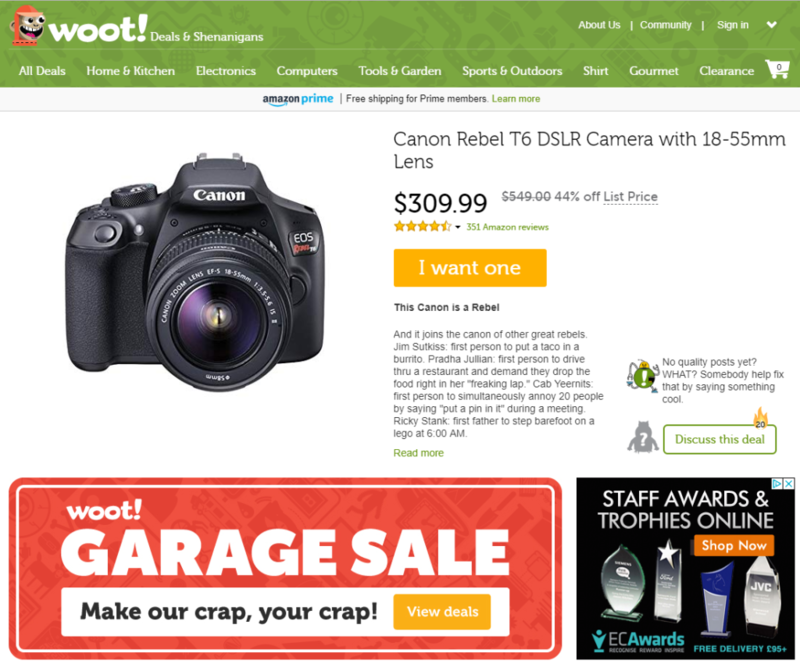 They’ve made a habit of marketing everything in a way that suggests that they’re saddled up with it and are pricing it out cheaply to get rid, as you can see in the screenshot “Make our crap, your crap!” That is about as bold as it gets language-wise! Their consistent brand message and cavalier attitude towards the online shopping industry has made them one of the greatest successes on the web. Check them out here. 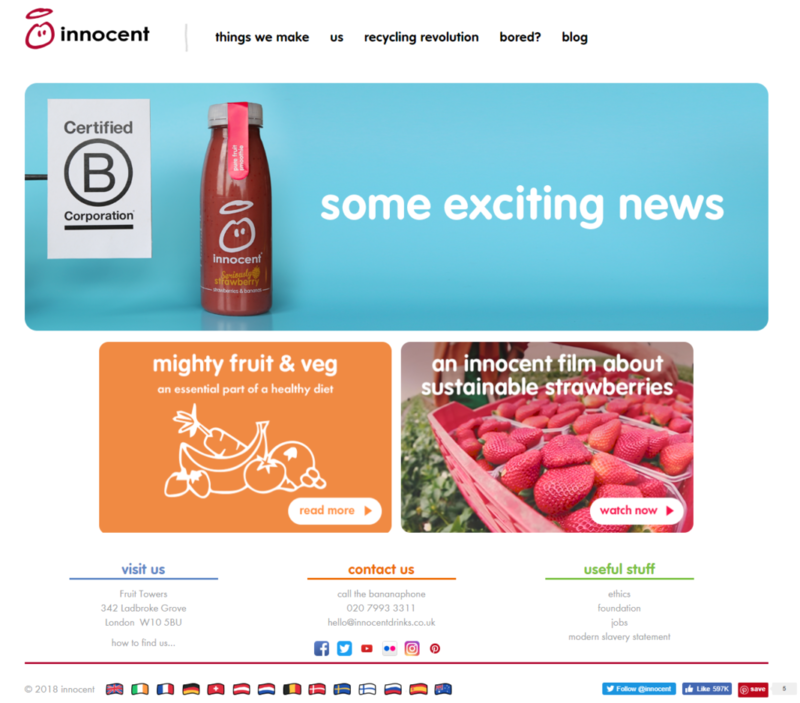 Innocent has a very approachable and honest-feeling brand experience. Plain text, definitive and relatable statements, naturally-occurring colours (from the fruits and vegetables we expect in nature) with some great hand-drawn (organic) imagery. Images bounce around with 2-frame animations like you’re back on a website from 1996, giving a bit of a retro vibe as well. This is a solid, well-executed brand with bold statements and image treatments that get the job done. Check them out here. Now go out and do something amazing!